In the first episode of the Editors’ Note podcast, Editor-in-Chief, Carrington J. Tatum and Managing Editor, Sawyer Click recap the fall semester and winter break, give projections for the spring semester and send a message to former Mayor John Thomaides. 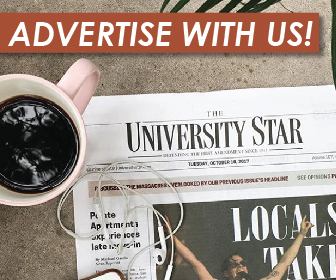 Editors’ Note is a weekly podcast hosted by the Editor-in-Chief and Managing Editor of The University Star to keep a pulse on the news and culture of #TXST. The University Star is the editorially independent, student-run news organization of Texas State University in San Marcos.